While allegations against B.S. Yeddyurappa will help the Congress-JD(S) coalition sail through the legislative session, the BJP may have lost its final chance to pull down the coalition government before the general elections. Bangalore: Karnataka chief minister H.D. Kumaraswamy, by releasing audio tapes allegedly exposing Bharatiya Janata Party leader B.S. Yeddyurappa offering a Rs 10-crore bribe to poach a Janata Dal (Secular) MLA and claiming to have offered Rs 50 crore to the speaker of the legislative assembly, has taken the BJP head on. In the alleged audio recordings of Yeddyurappa’s conversation with a JD(S) MLA’s son, the former is also heard claiming that his party’s top brass will manage the higher judiciary. While the authenticity of the audio tapes are yet to be verified, the allegations take the sting out of the BJP’s efforts to topple the Congress-JD(S) coalition government in the state, and have created a national embarrassment for the BJP. This comes at a time when the BJP claims that the Congress-JD(S) coalition in Karnataka has lost the numbers to remain in power, and having presented the budget for 2019, the rest of the ongoing legislative session was a litmus test for the Congress-JD(S) coalition’s floor management skills. In the absence of certainty in having the numbers to pull the government down, the BJP was weary of pushing for a no-confidence vote. Instead, it hoped to use the budget debate in the legislature and the passage of the finance bill to test the waters. In fact, it even claimed that the ruling dispensation was a “minority government” which did not possess the numbers. However, if the BJP could have shown that the government did not have the numbers when the finance bill was put to vote, then it would have pushed for toppling it. At the moment, the Congress-JD(S) coalition has the support of 118 members in the house, including one BSP MLA. Two other independents, who supported the government when it was formed, announced that they were withdrawing support a few weeks ago. But it is uncertain where they stand now, and given their perceived closeness to the Congress, their positions could change at the last minute. Moreover, their resignations were seen as an effort to bargain with the present dispensation. However, even if the Coalition tally is taken as 118, the BJP still needs the resignation of at least 14 legislators in order to have the same number as the coalition in the 224-member house (resignations would bring the numbers in the house down to those present and voting). Some Congress members have allegedly been in touch with the BJP. In fact, six Congress MLAs have been conspicuous by their absence in the house despite an ultimatum from the leader of the Congress Legislative Party Siddaramiah. Despite this, the coalition still has the numbers to sail through. Against this backdrop, the BJP had allegedly tried to approach some JD(S) MLAs as well. But the release of the audio tapes will stall any further efforts and both – the poacher and the poached – will be weary. 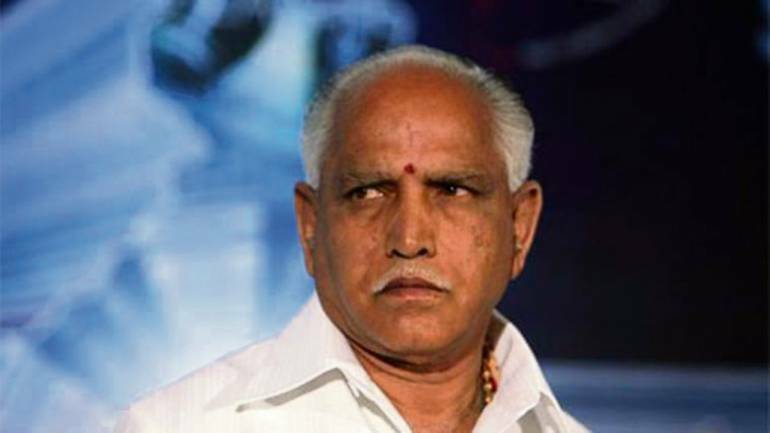 Furthermore, given the fact the tapes bring into focus Yeddyurappa himself – allegedly making tall claims and offering money – it is a major embarrassment and puts him on the defensive. The tapes also bring into focus the speaker of the house, and even though he is a Congress MLA, the allegations preempt any misadventure on his part. Finally, this assembly session was perhaps the last chance for the BJP to attempt toppling the coalition government before the 2019 elections. Once the session concludes, it will be very difficult for the BJP to make any further efforts. This is why the allegations come as a body-blow to the party in Karnataka. 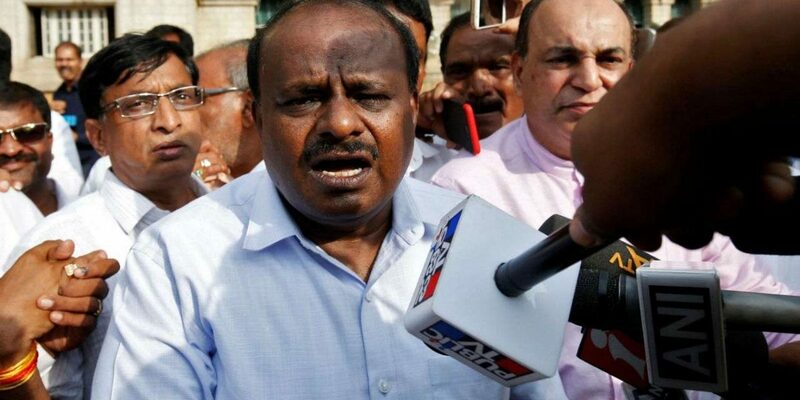 In the end, it was not the Congress, but the JD(S) and the maverick Kumaraswamy, who saved the day for the coalition with a checkmate to the BJP.